On Jun. 23, 2012 the San Francisco Chronicle’s David Perlman wrote “Sea Level Rise May Hit Hard In State” about a National Resource Council report that the San Francisco Bay area will be at risk of more frequent and dangerous flooding. Sea levels that may rise by more than four and a half feet by 2100. An earthquake may raise it by another three feet. UC Santa Cruz oceanographer Gary Griggs said “This is physical science not political science.” Johns Hopkins Professor of Civil Engineering Robert A. Dalrymple talked about the increase in erosion and larger waves flooding urban areas. 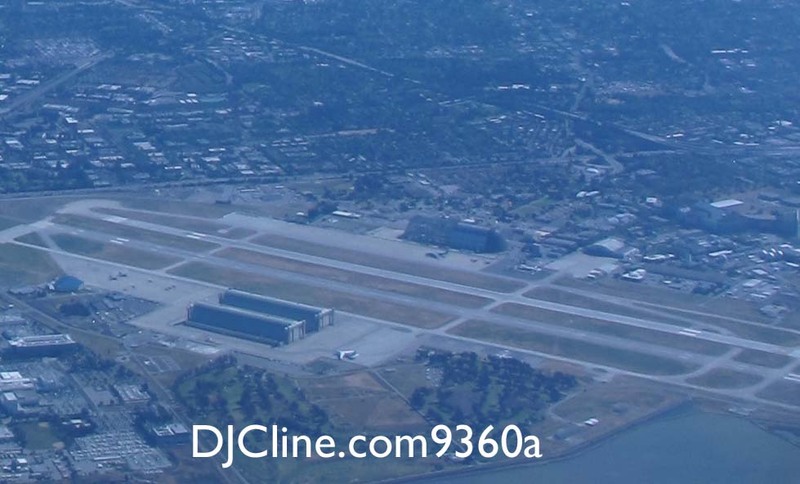 On May 23, 2012 in Mountain View at NASA Ames Research Center, Air Force One was seen at Moffett Field. I was flying back from Chicago where they had the NATO Summit and was taking some aerial images of San Francisco Bay. I wished I’d had a telephoto lens. Pretty cool! Copyright 2012 DJCline All rights reserved.